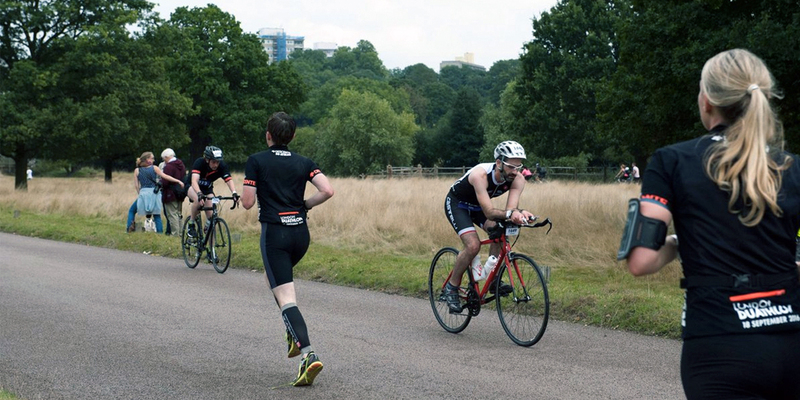 The Descente London Duathlon, the world’s biggest run-bike-run event, will take place on Sunday 8th September 2019. A duathlon consists of three sets of athletic activity, but across two disciplines – running and cycling. The first set consists of running, followed by cycling, and then back to running. Similar to a triathlon, you will go through transition to change between disciplines. Participants can choose between a half duathlon, standard duathlon or ultra duathlon – details below.